What is the cheapest way to get from Orbetello to Capalbio? The cheapest way to get from Orbetello to Capalbio is to bus which costs 2€ - 4€ and takes 42m. What is the fastest way to get from Orbetello to Capalbio? The quickest way to get from Orbetello to Capalbio is to taxi which costs 50€ - 60€ and takes 24m. Is there a direct bus between Orbetello and Capalbio? 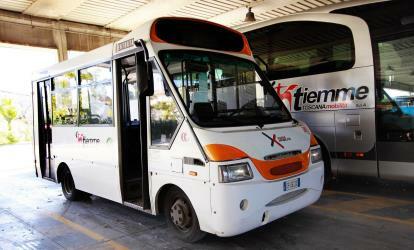 Yes, there is a direct bus departing from Orbetello Porto and arriving at Capalbio Belvedere. Services depart three times a day, and operate Monday to Saturday. The journey takes approximately 42m. How far is it from Orbetello to Capalbio? The distance between Orbetello and Capalbio is 17 km. The road distance is 25.2 km. How do I travel from Orbetello to Capalbio without a car? The best way to get from Orbetello to Capalbio without a car is to bus which takes 42m and costs 2€ - 4€. How long does it take to get from Orbetello to Capalbio? The bus from Orbetello Porto to Capalbio Belvedere takes 42m including transfers and departs three times a day. Where do I catch the Orbetello to Capalbio bus from? 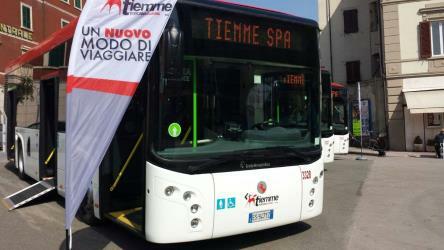 Orbetello to Capalbio bus services, operated by Tiemme Spa, depart from Orbetello Porto station. Where does the Orbetello to Capalbio bus arrive? 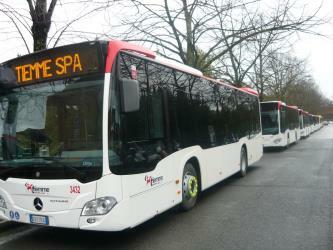 Orbetello to Capalbio bus services, operated by Tiemme Spa, arrive at Capalbio Belvedere station. Can I drive from Orbetello to Capalbio? Yes, the driving distance between Orbetello to Capalbio is 25 km. It takes approximately 24m to drive from Orbetello to Capalbio. Where can I stay near Capalbio? There are 664+ hotels available in Capalbio. Prices start at 62€ per night. What companies run services between Orbetello, Italy and Capalbio, Italy? 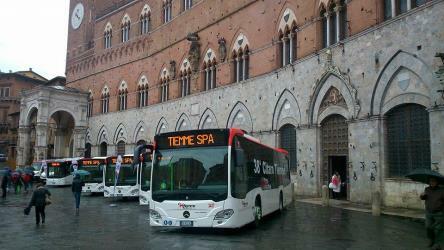 Tiemme Spa operates a bus from Orbetello to Capalbio 3 times a day. Tickets cost 2€ - 4€ and the journey takes 42m. Discover how to get to attractions and hotels near Capalbio. The Tarot Garden (Italian: Il Giardino dei Tarocchi) is a sculpture garden based on the esoteric tarot, created by the French artist Niki de Saint Phalle (1930–2002) in Pescia Fiorentina, località Garavicchio, province of Grosseto, Tuscany, Italy. The park was opened to the public in 1998. Cosa was a Latin colony founded in southwestern Tuscany in 273 BC, on land confiscated from the Etruscans, to solidify the control of the Romans and offer the Republic a protected port. The Etruscan site (called Cusi or Cosia) may have been where modern Orbetello stands; a fortification wall in polygonal masonry at Orbetello's lagoon may be in phase with the walls of Cosa. The position of Cosa is distinct, rising some 113 metres above sea level and is sited 140 km northwest of Rome on the Tyrrhenian Sea coast, on a hill near the small town of Ansedonia. The town experienced a hard life and was never truly a prosperous Roman city, although it has assumed a position of prominence in Roman archaeology owing to the circumstances of its excavation (cf. Dyson 2005, below). After the foundation, wars of the 3rd century BC affected the town. New colonists arrived in 197 BC. Cosa seems to have prospered until it was sacked in the 60s BC, perhaps by pirates - although an earthquake and unrest related to the Catilinarian Conspiracy have also been cited as reasons. This led to a re-foundation under Augustus and then life continued until the 3rd century. One of the last textual references to Cosa comes from the work of Rutilius Claudius Namatianus in his De reditu suo. In the passage 1.285-90, Rutilius remarks that by AD 417 the site of Cosa was deserted and could be seen to be in ruins. He further suggests that a plague of mice had driven the people of Cosa away. Vulci or Volci was a rich and important Etruscan city (in Etruscan, Velch or Velx, depending on the romanization used). Laguna di Orbetello is a lake in the Province of Grosseto, Tuscany, Italy. At an elevation of 1 m, its surface area is 26.9 km2. Rome2rio makes travelling from Orbetello to Capalbio easy. Rome2rio is a door-to-door travel information and booking engine, helping you get to and from any location in the world. Find all the transport options for your trip from Orbetello to Capalbio right here. Rome2rio displays up to date schedules, route maps, journey times and estimated fares from relevant transport operators, ensuring you can make an informed decision about which option will suit you best. Rome2rio also offers online bookings for selected operators, making reservations easy and straightforward.